It must be the season for business expos! We have been busy introducing Minuteman Press and making new contacts throughout the region. 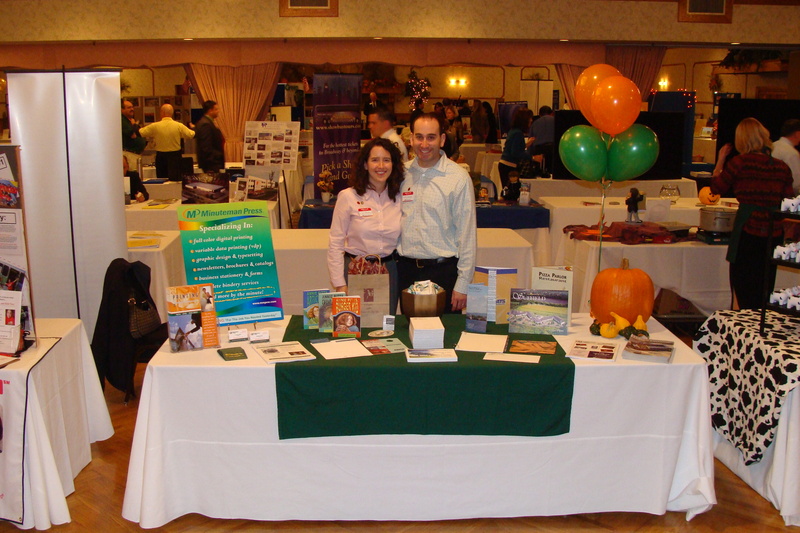 Michael and Lindsey are shown here with their display table. They were lucky to set up near Claudine Gaj fromThe Magic Spoon. You can see her on the right side of the picture serving some of her delicious seasonal soup.